To live up to our motto of delivering happiness (hence our brand name), we go out of our way to make sure that all our customers get to enjoy their Matcha green tea as quickly as possible. So unlike most of our competitors in Australia, we offer fast and free shipping for all orders within Australia. We will even dispatch your order as quickly as possible to our delivery agent so that it can get to you sooner. This way, you can enjoy a our matcha tea as quickly as possible. 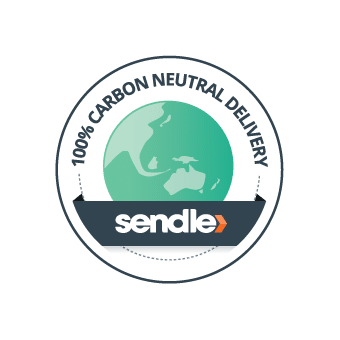 Happy Matcha is proud to partner with Sendle so we can offer you Carbon Neutral delivery Australia wide! To learn more about carbon free delivery, you can check out this article. At this stage, Happy Matcha will only fulfil orders within Australia and do not deliver to any country or location outside of Australia. If you would like to purchase our organic matcha green tea and you do not reside in Australia, please contact us for a custom order. As a general rule of thumb, we request that customers allow for 3 to 6 business days for their order after it has been dispatched. We dispatch orders the next business day after the order was made though we endeavour to send it as quickly as possible to you.